What inspired you to write a novel set at the time of the Tang Dynasty? I have always had a wish to write novels since I was a teenager. I did not have the time to write one until recently. As it happened, prior to that I had used historical novels on ancient Rome by Robert Harris in one of the classes I teach: World History to 1500. I wanted to use a novel on premodern China for the same class. However, none seemed satisfactory. So I wrote a novel myself. 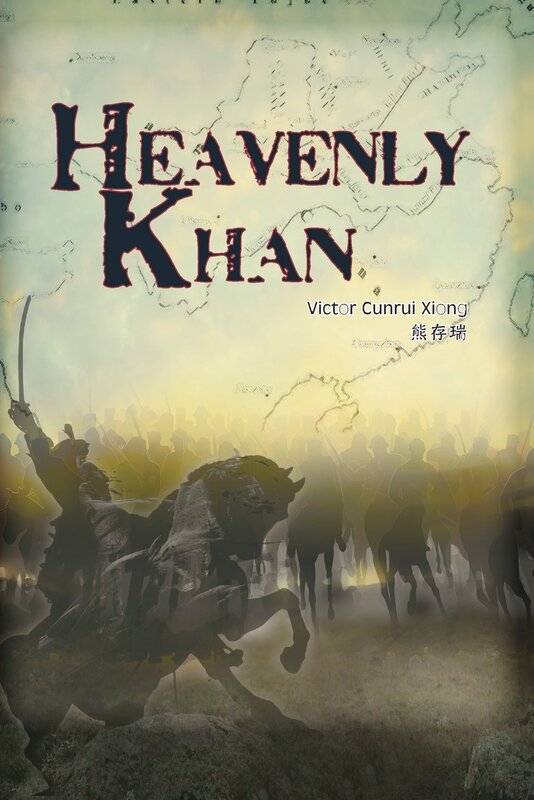 Is Heavenly Khan fact or fiction? This is actually a 'faction' or a hybrid between a novel and a history. All the characters and places are real, so are all the major events. It is about the life of Tang Taizong, from his military career to his seizure of power and through to his peaceful reign over the Tang empire. Arguably the greatest Chinese sovereign who ever lived, Tang Taizong was also a great military commander in the same class with Alexander the Great and Napoleon. What can you tell us about your writing process? First, as a historian, I spent more than 30 years studying Chinese history, especially the Sui-Tang period. Familiarity with the subject made the writing much easier. Second, I read great fiction and non-fiction as research for both writing and revising the novel. The most influential authors for me include: Robert Harris, Robert Graves, Sir Walter Scott, Henryk Sienkiewicz, Laura Hillenbrand, Albert Camus, André Malraux, Giuseppe Tomasi di Lampedusa, and Franz Kafka, among others. I finished the first draft essentially during one summer vacation, but spent a long time thereafter revising it multiple times. To be published by a traditional publisher is a time-consuming process. One has to find an agent first. That's difficult, since agents are now overwhelmed with requests by authors to represent them. I wanted my students to start reading the novel as soon as possible, and could not afford to wait. They have been enthusiastic, I’m pleased to say. Indie publishing is increasingly respectable. One should stop regarding being self-published as a stigma. In fact there are no lack of success stories in self-publishing. Well-known indie authors include Walt Whitman, DH Laurence, Stephen Crane, Howard Fast, and more recently, EL James, author of Fifty Shades of Grey. I have tried to reach out through book review agencies and online groups. For example, sales improved greatly when information about the novel was circulated among members of a group for academics, the Early Medieval China Group. Many professors on the list adopted it for their courses on history or culture. English-speaking readers in the West and elsewhere interested in Chinese history and culture, especially college students. Can you tell us a little about your work-in-progress, if you have one? I have been writing a novel on the life of Liu Bang, the founding father of the Han dynasty and one of the greatest rulers in Chinese history. Because of his earthiness and wit he is one of the best-loved characters in Chinese history. What are your plans for developing your career as an author? Prior to turning to faction, I wrote two academic monographs and an encyclopedia on medieval China. I will continue to publish academically. A new monograph will come out later this year, and my encyclopedia is currently going through a major revision. I am also editing the Routledge Handbook of Imperial Chinese History. Lastly, my annotated translation of the 8th century masterpiece Shitong will be published perhaps in two or three years. Meanwhile I will continue to write novels. Details: For the Heavenly Khan website click here. The book can be purchased here on Amazon.com.